“Nick,” carte des visite, 1871. Boston, Massachusetts, photographer unknown. This carte des visite photograph of “Nick” is unsigned by the photographer, and the back of the card has no stamp or printing. It does have a wonderful pencil inscription, however, so I scanned it for this post. 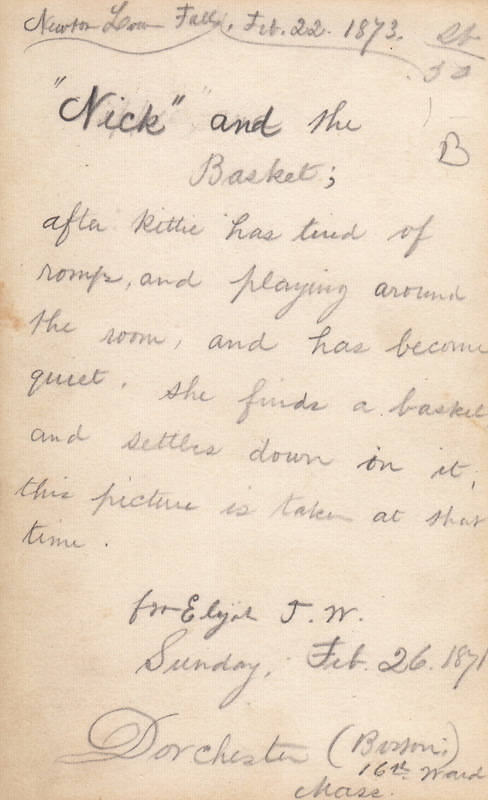 The card was presented to “Elise J. W.” in 1871. At the top is a second date, 1873; I don’t yet understand its meaning. 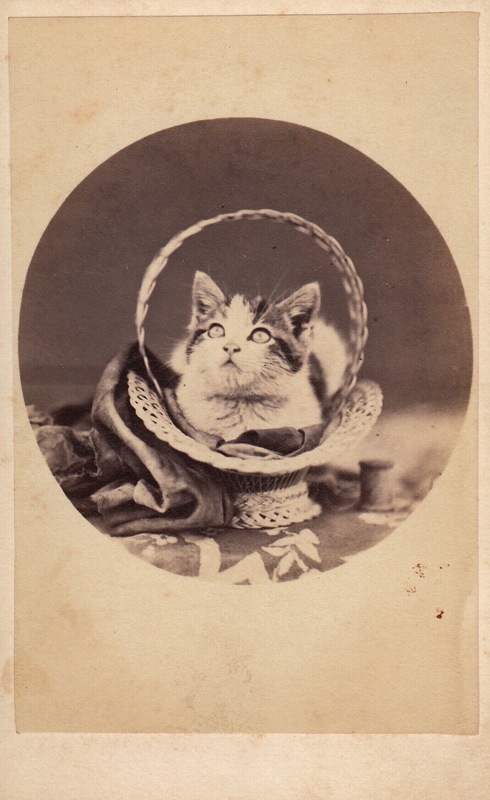 In any case, this is a lovely pose, and a rare example of a photo of a kitten from the cdv era. Their portraits became more common with the development of easy photography for amateurs, especially with the arrival of roll film in the 1880s and the popularity of real photo postcards in the early 20th century. The composition includes an empty wooden spool, probably used as a cat toy. From the kitten’s expression, I can imagine the photographer waving a hand or another toy above the camera.